I must have had the same bag for about 3 or 4 years now? So when Knomo contacted me with regards to a Street Style shoot with a bag of my choice, I jumped at the chance! 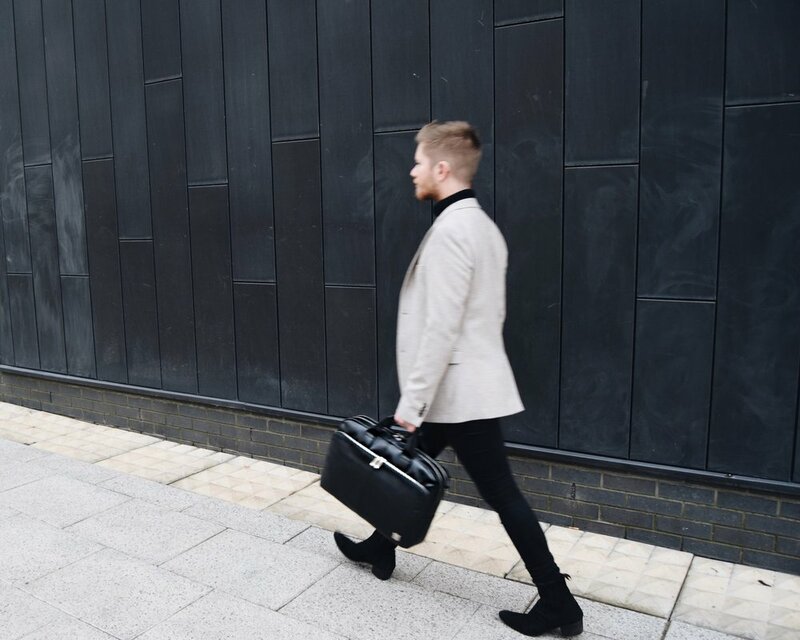 I chose the 'Amesbury Double Leather Zip Briefcase' and out of the two colours between brown or black, I chose black, as I felt this would fit my style better! The bag is crafted from full grain leather, and comes with a strap, which can turn this briefcase into an over the shoulder bag. I like how streamlined the briefcase is, and how it manages to fit everything in! Perfect for my travels to London, and it would make for a beautiful gift for somebody this Christmas. For the photographs, I took along my friend Amy, and we found a location in Leeds, in which I am very pleased with the results! Thank you to Knomo for my briefcase, I know this will come in very handy! Do you like the Amesbury bag that I chose? Do you have a favourite Knomo bag? If so, which one? What do you think to the photographs? Let me know your thoughts, as I would love to hear from you! Also, don't forget to tap that 'like' button down below!